© Wayne Reckard. All rights reserved. Jefferson Memorial, designed by John Russell Pope. 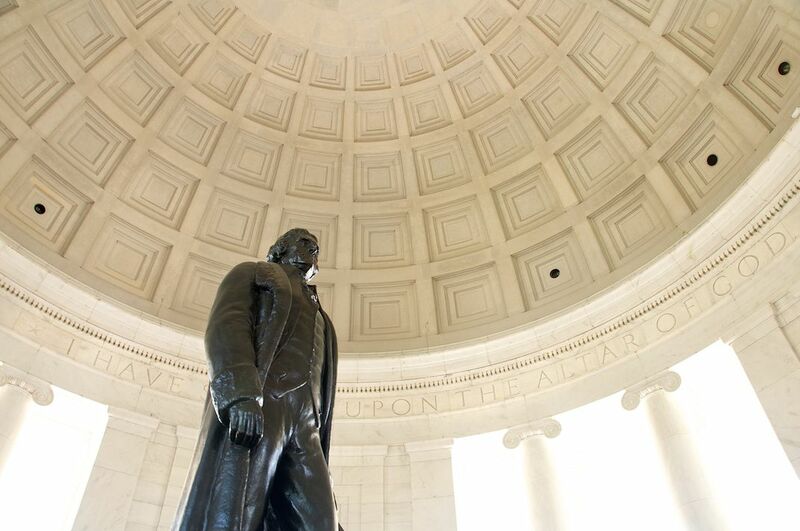 The quotation inscribed on the interior frieze below the dome reads, "I have sworn upon the altar of God eternal hostility against every form of tyranny over the mind of man." Date Uploaded: April 22, 2011, 11:20 p.m.